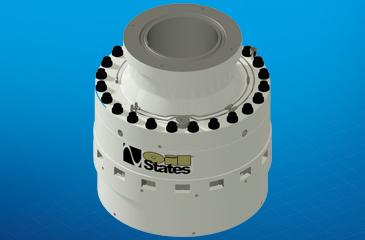 The Oil States range of connectors is designed to remotely connect the BOP stack onto the wellhead and to connect the LMRP onto the BOP stack. 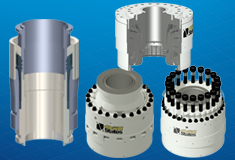 They are robust, simple-to-operate devices, designed and built to withstand the demanding loads that they will see throughout their long lifetime. 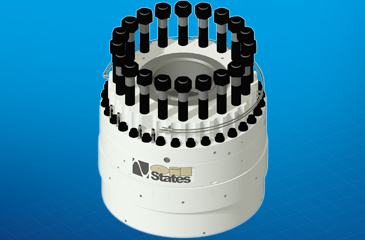 The connectors provide a rigid, pressure-tight, preloaded connection to the wellhead. They are relatively easy to maintain as main parts are easily replaceable, if required. Extremely good bending, tension and shear capacity. 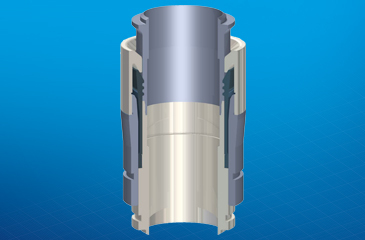 Suitable for emergency disconnect applications, tested to 40 degrees. Fast, reliable and certainty of makeup. 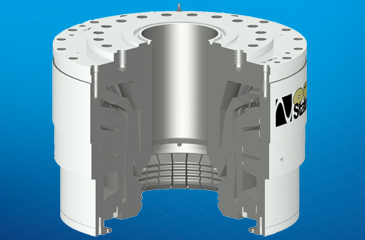 Built in redundancy – two separate hydraulic lines. Easily maintained; cylinders can be easily removed and replaced. Proven metal-to-metal seal technology. Seals can easily be changed out. Indicator rod to show correct connection has been made. Qualification testing completed at UKAS accredited test facility. Built-in redundancy – two separate hydraulic lines. Capable of high angle release up to 45 degrees without snagging. 3rd party witnessed qualification testing including release angle test. Suitable for emergency disconnect applications.